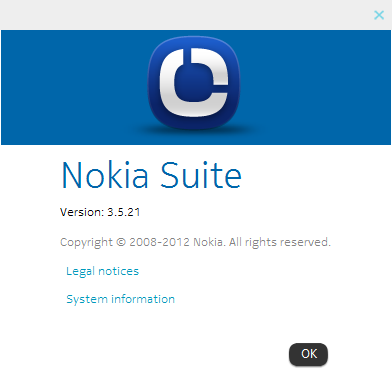 Nokia Suite 3.5 Beta is the latest Suite for Nokia Devices from Nokia. In this version you will get few major updates like Official Support to the Nokia N9 devices, some important fixes and improvements. In this page we are going to talk about the improvements and features of Nokia Suite 3.5 Beta. Nokia N9 Support: Now, Nokia N9 users can also use the Nokia Suite to transfer their content from Phone to computer or from computer to phone. You can Sync your contacts, messages, images and videos to your computer as Backup. Improvements: In this version you will get lots of fixes for the known issues. Suite works smoothly than the previous version releases. Nokia N9 Messages Sync: It does not allows you to Sync or Backup the Nokia N9 messages. As Support to the N9 devices is new, so this feature might include with the Final Suite release. No Web Store for N9 users: N9 users are not able to use the Web Store from the Suite, as this feature is Disabled or say its not available for N9 users. Suite update not Functioning properly: Many users have faced this issue when they tried to update the Suite from 3.5.14 to 3.5.21. And this issue still persist with the 3.5.21 beta. Nokia Suite 3.5.21 is around 102 MB in Size. Note: Nokia Suite 3.5 is in Beta Stage, which means you have to wait for the Final release (Beta Stage: it means Nokia Suite 3.5 is in testing mode, you can test it on your computer until the final product release). If you are looking for more free downloads then do not forgot to see our Download section.